About Me: When I was young I painted scenes of my small village in England onto small rocks to sell in the village gift shop, some things never change. I still love an opportunity to put my creative urges to work. My husband is a talented gardener so he provides much inspiration in the many beautiful flowers he grows in our garden. My Interests: Photography, painting (oils usually), sewing, anything creative, and fixing things! » RETURN TO PamJArts WELCOME PAGE. Greeting Card Universe cards offer wonderful opportunities to find greeting cards for occasions that you will not find in your local card stores. The inside verses are always fully customizable by you and many of my designs have customizable text on the front of the card that you can change to make a truly personalized card for your recipient. I also offer photo cards, just upload your photo and add it into the card. 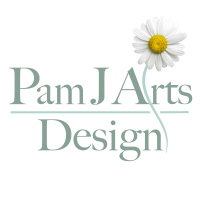 PamJArts has been established with Greeting Card Universe since 2008 and I love being able to offer my customers new designs on a regular basis, on such fine quality cards. Thank you for visiting PamJArts. I hope you like my cards but please note all designs and inside verses are the property of the artist and not for reproduction without written permission. RETURN TO PamJArts WELCOME PAGE. Hi Pamela! I just wanted to thank you for taking the time to leave your positive feedback. I really appreciate it! Good luck on your new Chinese New Year's series - it's a great design! Congratulations Pamela on your Design of the Day! It's a great card! You have a beautiful selection in your store... I enjoyed my visit! Pamela, your cards are magical & I just love the mouse ones. Hi Pamela, Congratulations for your Design of the Day!...such a cute idea! Congratulations on getting Design of The Day! Your cards are wonderful. Hi Pamela - congratulations on your Design of the Day award today! What a great summer camp card : )- I also especially like your Fourth of July card with the American Heart design - nicely done. Oh Pam! How does your garden grow?! I LOVE all your beautiful florals! And the whimsy in the winking orange in the bunch, I laughed out loud when I came to that one : )- Thank you for sharing your talents with us! Hi Pam, always enjoy your lovely floral photography cards. Good Luck. I received my Invitations yesterday and I Just Love Them! Perfect for the Occasion. Thanks Pam! Pam, I always love visiting your store. You have some of the most beautiful cards on GCU. Keep up the great work! Hi Pam, love your cards, if I knew anyone that needed one I would use yours. I really enjoyed looking through your cards! You have such a variety and they are all so nice! I also really like the way you have your store laid out! Just stopped by to say hi and thanks for reviewing one of my cards. (That is my dog Cuddles!) Your shop is looking great. You have done a wonderful job customizing your shop and the cards look exceptionally beautiful! Love your florals! Hi Pam, I have been looking through your cards and find them absolutely amazing. Ilove them all. I have often admired your flower cards and the two little girls holding hands, when the cards whizzed by in the "just sold" carrousel. Very sharp shop, great designs! Especially the flower designs! Hi Pam! Your flowers are fabulous :) The shop is bright and cheery and it's so fun to go through your designs! Thanks for stopping by mine as well and leaving such nice comments :):) sharon f.
Your creativity is top notch. Nice treatment/manipulation on your photographs. You are an expert in image software. Great floral photography, Pamela. Especially like the lighting effects on the Peace pink lotus card. Keep 'em coming! My goodness...not a card here that isn't absolutely beautiful! Flower can aptly be spelled fl 'WOW' er in this store! Pamela, you take beautiful photography and what you then do with it to create these cards is awesome and more. I'm already a huge fan of GCU card quality and look forward to see YOUR imagery vibrance on such. Thank you, you have a return customer in me. Cheers, Lisa C.
Wow! There are so many beautiful cards. Pamela, BEAUTIFUL store! I really like your cards here, I can tell you have a special touch with your creativity! The one with the little girls is my favorite!~But, they are ALL so beautiful! Pamela, your store is full of bright and cheery cards! Ilove your "Love theFlowers" :O) great originality! Your photographs are beautiful and I like being able to send these as cards to friends - Your flowers are the prettiest I've seen! Keep up the good work.